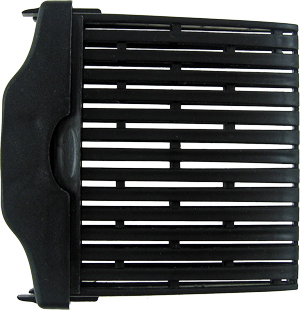 This wide intake strainer attaches to the intake and prevents gravel and other debris from entering and clogging the filter. It's wider frame and body filters more efficiently than the narrow intake strainer, but it takes up more space. Do not operate the filter without this strainer as it can allow larger particles to get into the filter increasing your maintenance of the filter.